Al-Waraq is considered the famous cultural gate of the Electronic village. It represents the greatest content digital library on the Internet, as it includes more than one million digital pages on the web, containing hundreds of Islamic heritage books in their complete texts. 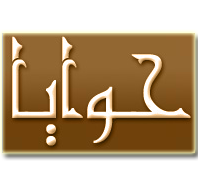 AlMotanabbi Oasis project includes a collection of all poems of the poet Al-Mutanabbi, and its explanations of about 40. The main working unit of this project is the line of poetry. Each line is explained. Priority is given to old explanations. The reader can request any line with the list of explanations and specific explanation. Masalik, a site belonging to the Arab Center for Geographical Literature, whose idea, founder, financier and supervisor is the poet Mohamed Ahmed Al Suwaidi. It aims at rediscovering the place, its civilization, its present, and the related events, facts, stories, personalities, behavior, intellectual production and practical effort, in a new way that seeks to combine multimedia, read, audio, visual and visual, including written materials, photographs, audio files and maps. Of the second development of the International Information Network, recently known as Web 2 technology, to create a process of mutual interaction between the place and the arts and literature, science and knowledge that have been associated with it. The course aims at re-shaping the information in a modern interactive manner that takes into account the close and common relationship between geography, history and society, so that a different classification and cataloging of the information is carried out, commensurate with the specifications of this modern technology, Internet domain. The series "Pioneers of Horizons" includes more than 150 books of Arab and Muslim traveler blogs. The It showcases last thousand years of history, along with a number of foreign travelers' blogs. Among the series, 35 books were awarded the Ibn Battuta Prize. The site is home to more than 200 researchers and academics around the world. 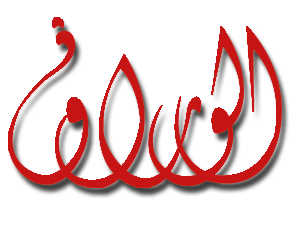 Al Mullaqat is an encyclopaedia of the poetry, which includes recordings of poems, pictures, maps, multiple indexes and multiple search services. Hawaya is the Encyclopedia of Nabataean Poetry in the Gulf region. It includes poems by more than four hundred poets along with the audio recordings of poems and biographies of poets. Lamakom is the interpretation of your dreams, a guide which offers definition of a set of common symbols to interpret dreams and it also includes the provision of dream interpretation service.